A friend's sister is having a baby and the family has strong ties to New York so the plan is to make a New York themed baby quilt. 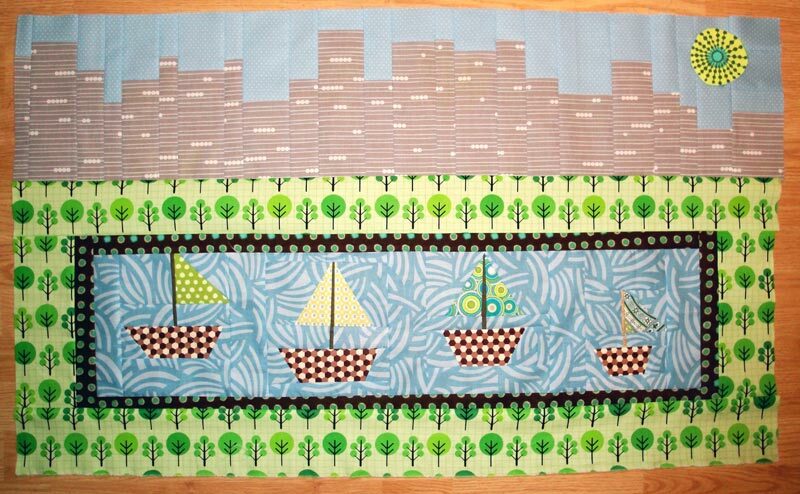 Originally I wanted to do a bunch of traditional New York beauty quilt blocks. 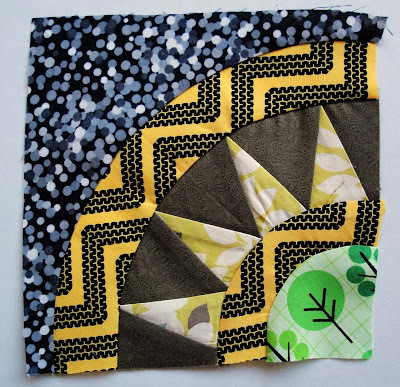 I made a test block, which meant practicing foundation piecing and sewing curves. This was all new to me despite having sewn for a number of years. It turned out to not be scary and went together fairly smoothly, albeit a bit time-consuming. This method does seem to produce a lot of wasted fabric scraps. This little 7" block took me 1 hour to piece together from start (cutting fabric) to finish (pressing the block). 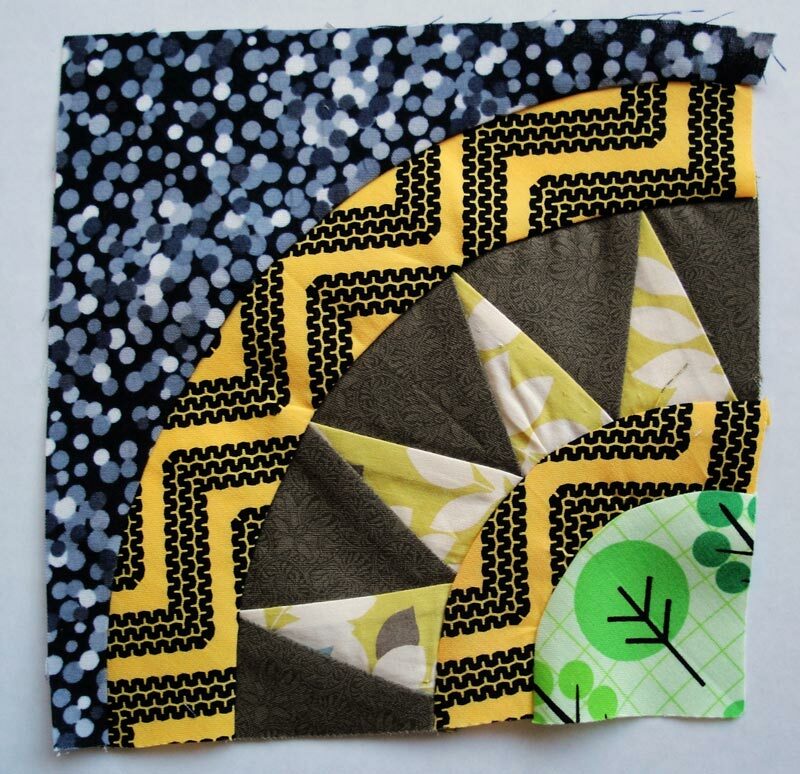 I now have a much greater appreciation for quilts that use the New York beauty quilt block. Talk about an investment in time. Sorry, but no way that I'm going to spend that kind of time on one quilt and still make my self-imposed deadline. To make a 40" quilt would mean at least 25 hours in piecing alone, let alone thinking color scheme, layout, quilting, etc. 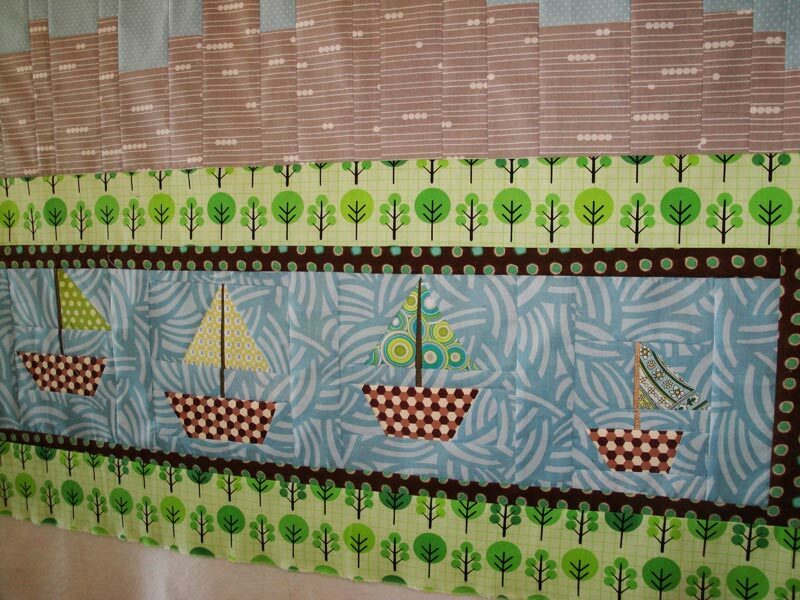 Plan B. Kate Spain designed a fun quilt using her fabric line Central Park. Her quilt is titled Great Lawn. I liked the idea behind the quilt and have begun my own version. The top is a city sky line. The middle part the fantastic little pond in Central Park where kids practice sailing their toy boats. The bottom is still being thought out. Either taxis or Times Square. George Washington Bridge? Or perhaps entirely something different. Until inspiration strikes, the quilt is hanging on my "design wall". wow, that one looks so fun!